Being in NYC we’re constantly bombarded by advertisements- on subways, the hall to the subway, taxis, and even phone booths. But lately I’ve been noticing a lot of ads with QR codes prominently displayed. I know QR codes have been around for years, but seeing them finally coming into the mainstream is exciting. Then I wondered: does the average consumer know what to do with a QR code? Or do these futuristically-fancy little boxes just look so odd that people just look and move on? 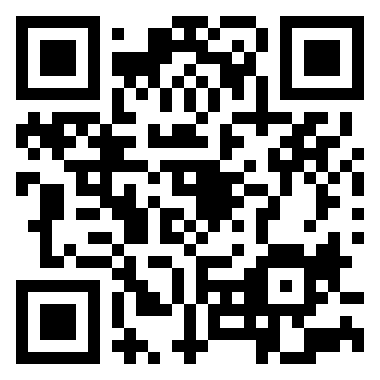 So, getting on with it- what is a QR Code? Above is a Quick Response code (QR code). It is a 2 dimensional bar code created by the Japanese to allow consumers faster access to information (usually accessed by a camera phone or QR reader) instantly. The heightened use of these codes is the perfect indication of how mobile consumption is growing steadily- 2010 was the social year, and 2011 seems to be shaping up as the mobile advertising year (See blog entry:Mobile Advertising 2011 and Beyond). Sharing – There’s no limit to how much you can share with QR codes. Social Community – Sharing is how you build your social communities, and one of the best communities for QR codes is Facebook. There is a company called, Likify that generates QR codes that link a mobile device to a fully functioning ‘LIKE’ button for your Facebook page. Customer Engagement – After building a community, engaging your followers is crucial. Depending on your end goals you can alternate special offers by linking your QR codes to new landing pages, as well as combining them with email opt-ins. Analytics – QR codes typically link to urls, which is why link shortening services like bit.ly and goo.gl now automatically generate QR codes for sharing your shortened links. Well, I found a recent article on Mashable! on QR codes that has a great infograph from a study conducted by Jumpscan, a QR Code company that puts your contact info, social media, website & email all in one QR code. So whether you’ve seen these codes before, on your morning commute, or not, QR codes seem to be coming into their own. I think once more consumers know what they are and how they can enrich their experience with a brand, only then will they become a common place for mobile advertising and sales. If anyone has an opinion on QR codes I’d love to hear it!